Work on the 41-mile-long Mary Rhodes Pipeline Phase 2 Project is now complete and facilites are being brought on line. Contractors have wrapped up details at pumping facilities that take water from the Colorado River at Bay City in Matagorda County. The water goes into a settling basin and then will be pumped through a 54-inch concrete steel cylinder pipeline to a point south of Lake Texana. There it will be blended with Navidad River water in the 64-inch Mary Rhodes Pipeline which stretches 101 miles from Jackson County to the O.N. Stevens Filtration Plant in northwest Corpus Christi. The Phase 1 pipeline was put in service in 1998. 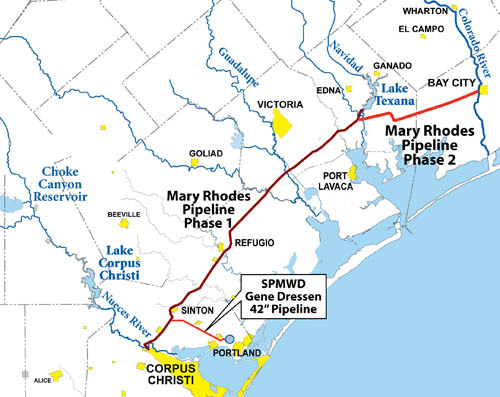 The pipeline will be delivering this additional water supply to customers in the Corpus Christi Bay area including the San Patricio Municipal Water District. The region owns the senior water rights to 35,000 acre-feet per year of "run of the river" water in the Colorado River. Water intake facilities are located beside the river on the north side of Highway 35 just west of Bay City. The new water delivery system is another significant step in water supply diversification and improved reliability in times of drought for Coastal Bend residents and industrial customers. Water supplies will be coming from the Colorado River, Lake Texana on the Navidad River, Lake Corpus Christi on the Nueces River and Choke Canyon Reservoir on the Frio River which is part of the larger Nueces Basin. 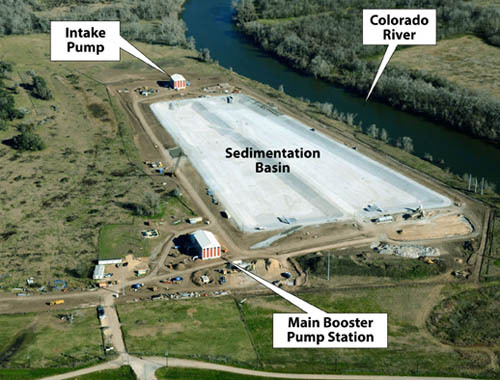 The Colorado River water is a "run of the river" water right which means that if there is no flow in the river at Bay City then no water can be diverted. It is likely that Corpus Christi will not be diverting during some dry months but will be able to take its full 35,000 acre-feet during the rest of the year, lowering demand on other sources. This water supply is known at the "Garwood Water" because the water rights were purchased from the Garwood Irrigation Company in 1998. The City of Corpus Christi, acting as the manager of the Coastal Bend's regional water supply system, negotiated the water rights purchase in 1992. The transaction was eventually approved by the state and Corpus Christi paid $15 million for the new water supply. Paying down that cost was part of regional water rates for many years. A more complete history of the Garwood Water deal appears HERE. Phase 2 contracts were awarded in 2014 and pipeline construction costs began to show up as part of the region's raw water costs and water rates in 2015. Construction work was delayed by several months by heavy rainfall events during 2015. 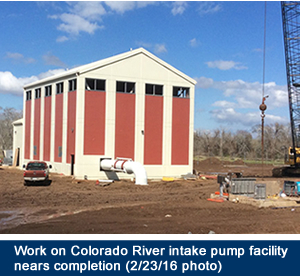 Garney Construction was the contractor on the new pipeline and Oscar Renda Contracting built the pumping facilities. 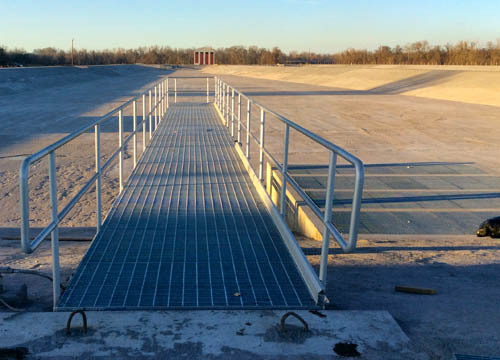 Freese and Nichols has provided engineering services and construction management.